Defence Turkey: Dear Ms. Yasemin Ok, first of all thank you very much for this interview. Could you please inform us on Voytes’ business areas and activities? Voytes Turkey has been providing a wide variety of financial solutions to numerous institutions from companies and funds with foreign partners, to national brands and SME’s since 2010 and has been assisting them to build and implement their strategies while creating resources. Among the aforesaid solutions, Voytes has enabled various businesses in various industries benefiting from incentives, grants and other governmental assistance through the projects it executes with industrial foundations, trade associations, organized industrial zones, universities and the Ministry of Economy. Voytes concurrently provides accountancy, tax and financial legislation consultancies and expertise services. Voytes’ most fundamental working principle is to get to know and understand its customer’s business elaborately and to design and create versatile solutions instead of merely achieving the expected and Voytes has proven itself by successfully implementing these solutions on several occasions. Voytes had developed and accomplished various projects in incentives, grants and governmental assistance project management areas. Voytes has accomplished and continues to conduct numerous projects within the scope of the Turquality preparation projects, TÜBİTAK Grant Projects, Ministry of Industry’s Cluster Projects, Ministry of Economy’s Projects for Developing International Competition, Global Supply Chain Projects, Design - Product Development Projects, San-Tez projects, Project Based Technological Production Investment Grant Projects, KOSGEB grant projects, Ministry of Industry’s Techno-Investment Projects, European Union Projects, Ministry of Development’s Development Agency Projects and Center of Attraction Projects, Undersecretariat for Defense Industry’s R&D Projects and Investment Fund Preparatory Projects. 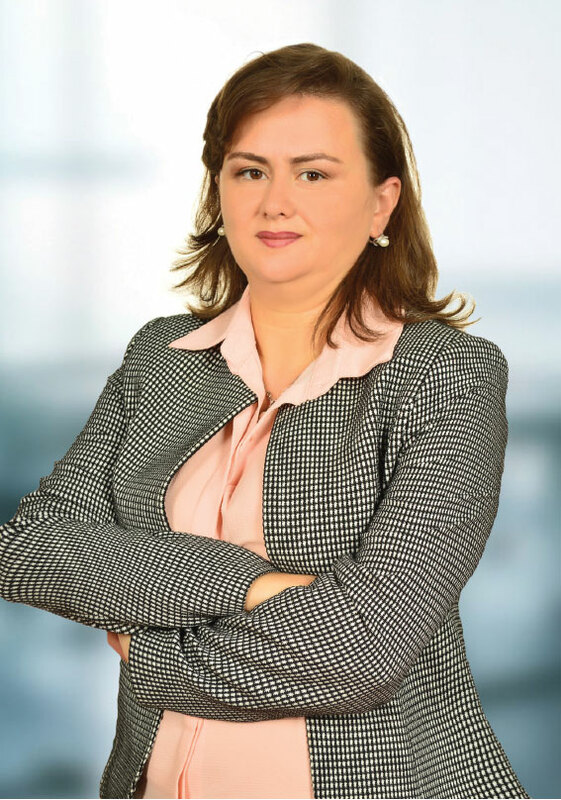 Moreover, standing by the investors and supporting them to provide the most profitable investment decisions, Voytes has been preparing reports that consist of feasibility studies and precise market surveys, combining them with its accumulation of knowledge on incentives and grants and presenting them to clients. Thus, it enables the reduction of the costs of the investments to be made in Turkey and allows them to transform into more sustainable and proper investments. Voytes has enabled crucial incentives and grants in significant figures to various industries such as machinery, defense and aerospace, satellite/space technologies, engines, metals, construction equipment and furniture. Defence Turkey: What are Voytes’ activities and experiences in the defense and aerospace industries? As Voytes Turkey team, we have been conducting incentive and grant projects activities regarding the defense and Aerospace industries. As of today, two projects for the cluster composed of the members of the industrial foundation of Defense and Aerospace Industries and grant projects averaging $ 6 million as part of the Ministry of Economy’s International Competition Development Program (UR-GE) with 32 companies have been prepared by our company and they have been approved. Our executive consultancy for these cluster projects continues. Within the scope of the project, our report prepared on issues such as Requirement Analysis, Market Research, Offset Implementations, Cluster Analysis, Standards and Certifications, NATO STO Activities, etc. has become an essential source as it constitutes a road map for the sector. With this road map, our aim is to incorporate in our companies in the Global Supply Chain and increase their competitive advantage. Besides, we are collaborating with the institutions of the region and stakeholders in establishing an Advanced Center of Excellence under the Aircraft Maintenance and Manufacturing Center located in Kayseri which is also amongst Turkey’s ambitious vision for the year 2023. Our efforts to this end continue. The process for cluster activity toward building an Advanced Technological Industrial Products Design and Development Center again with the institutions of the region and stakeholders at the Kocaeli - Gebze region that has a crucial share in the advanced technologies area continue with the Ministry of Science, Industry and Technology of Turkey. 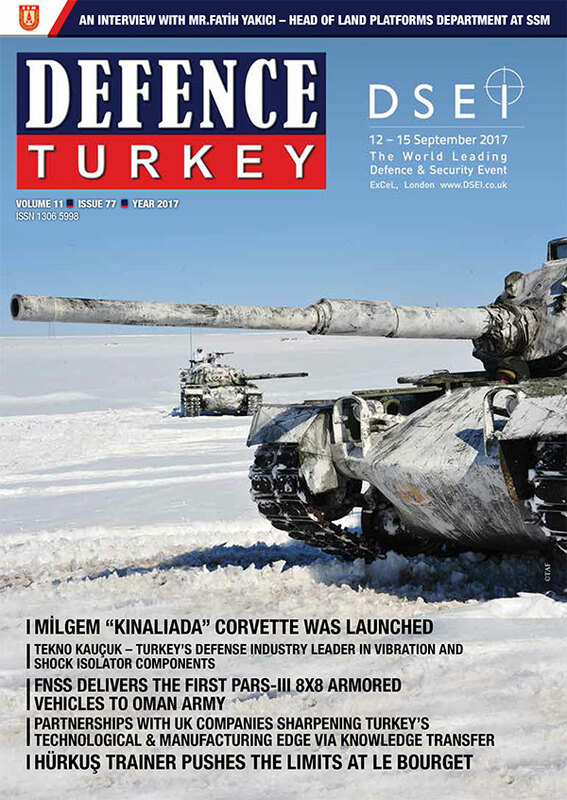 Defence Turkey: What are the R&D and Investment incentives, grants and assistance in the defense and aerospace industry? What are your primary suggestions for the local and foreign companies to this end? This is the project for supporting the investments to be made by the businesses localized in our country for the commercialization of new product/products emerging as a result of the R&D and innovation activities in primary technology areas. Two main support elements: Machinery and Equipment Support and Operating Cost Support are being provided as grants. Grant projects that range from 3.000.000 TL and 8.000.000 TL between 10% to 60% ratios from micro, small, medium and large scaled businesses are supported. Global Supply Chain Program is a project geared toward assisting in the management of expenses in order to increase the production of intermediate goods and export competencies in order to render the suppliers more efficient within the Global Supply Chain. Maximum of total $ 150.000 of assistance will be provided for the expenses made for the travel and website subscription fee based on projects up to 50%. The aim of the Project Based Technological Production Investments Support Program is to assist heavily in R&D, innovative investments with high added value which will fulfil the current or potential critical requirements of our country, maintain supply security, reduce the foreign dependency, and accomplish the technological transformation in line with the development plans and objectives foreseen by the annual programs. The minimum amount of fixed investment should be $ 100 million for the projects to be taken into evaluation. Attraction Centers Support Program comprises the investment and operation period aid to be provided to rejuvenate the facilities in the manufacturing industry that are either incomplete or unable to operate due to operational capital shortfall or are partially operating or not operating due to other circumstances, throughout the manufacturing industry with new call center or data center investment projects and aims to launch such operations for these businesses. The amount for the Investment and Production Support implemented is 10.000.000 TL. The support provided for moving the production facilities is comprised of the disassembly and assembly costs of the facility during the moving process in cash up to 1.000.000 TL. The Employer’s National Insurance Contribution Support, Insurance Premium Support, Income Tax Withholding, Customs Duty Exemption, VAT Exemption and Tax Reduction are implemented. Call Center Investment and Operation Support is implemented up to 2.500 TL per personnel on the condition that minimum 200 people are employed. Data Center Investment and Power Support are implemented through the VAT excluded coverage of 30% of the monthly electricity costs of the data centers built for 10 years. Support is given to R&D projects with purpose and content, that have overall and technical definition, have their duration and budgets identified, have all the stages of their R&D activities determined and that are conducted by the researchers in line with the scientific principles. The design projects that have the potential to increase the functionality of the product or products, potential for improvement and diversification, have the potential for creating added value and create competition advantage and of which the systematic activities are executed by the designer are supported. In order for a Design Center to be launched, 15 full time equivalent design personnel must be employed. The purpose of the Investment Incentive System Support Program is to increase the production of the intermediate goods and products that have high import dependence in order to reduce the current deficit, to support investments including high or medium-high technology that will enable the technological transformation, to increase investment support provided to the least developed regions, to decrease the difference in the level of regional development, to increase the efficiency of the methods of assistance and to support the cluster activities. Within the scope of this support program, of particular importance are the investments to be made in the defense industry. As mentioned below, the defense industry investments that are amongst the primary investment areas benefit from the advantages of the Zone 5 even if they are in the Zone 1 of İstanbul. 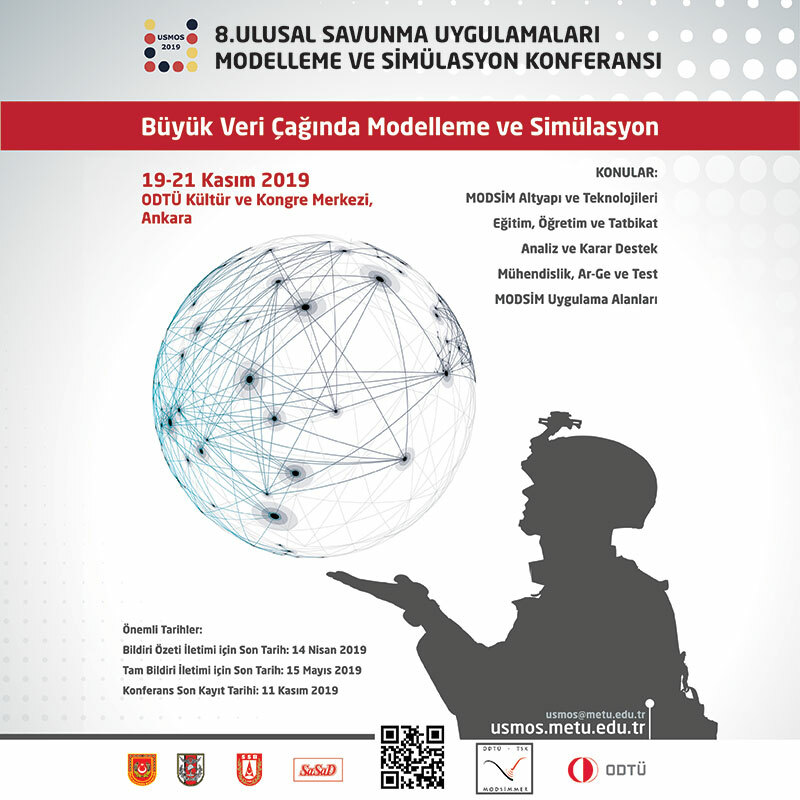 Defence Turkey: Did you, as Voytes, prepare a report within the context of the requirement analysis regarding the Defense and Aerospace Industries ? Which analysis does this report contain? Could you please inform us on the outcome of the report? Within the framework of Ministry of Economy’s Project for Developing the International Competitiveness, first of all an average of 140 questions in 12 different axes and a SWOT Analysis was prepared for our companies for the defense and aerospace cluster and then the company reports were prepared with the opinions and suggestions of the experts of Voytes who are experienced in Turkey. By far, this report is the far-reaching report prepared regarding the defense and aerospace industries. Global Market Analysis, Turkey Market Analysis, SWOT Analysis, Porter’s 5 Forces Analysis were separately conducted in the Defense Industry and Aerospace Industry and Benchmarking Activities were executed with International Clusters. Moreover, the list of the associations and foundations in this industry in the world, detailed list of the top 100 defense - aerospace industry companies, local projects and all details were shared. The detailed information on the standards and certifications that are known worldwide and used as a common language, that add value to the product during the sales and that are compulsory during the entry to the sector are included as guidelines in our report. In terms of the commercial aspect, the Offset Implementations of the countries stand out. Offset implementations have advantages such as providing an increase in foreign capital inflows, creating new employment opportunities, increasing the dynamism of the local market and foreign trade and helping to enhance the production quality through technology transfer. The Offset types and Offset Implementations of the countries, Opportunities and Advantages they offer are mentioned in our report in detail. As Voytes Turkey, in addition to our report, which we aim to turn into a road map for our industry and that we catered for our local and foreign investors, our industrialists in the sector and our entrepreneurs are willing to access the market, we enable profitable and faster investment processes through the training and consultancy we provide. Defence Turkey: Lastly, would you like to convey a message to our readers?